Jennifer Jeep Johnson was elected Township Supervisor in April 2017. She inherited a tradition of efficiency, and transparency put in place by her husband Eric Johnson, whom she succeeds in office; a tradition she intends to continue, and expand upon. Services provided by the Township are more important than ever as funding from the State of Illinois is unreliable, and Jennifer will work to expand upon the high quality services synonymous with DeKalb Township, while ensuring they remain cost effective for the residents. 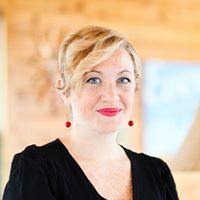 Jennifer co-founded the DeKalb Area Arts Council in 2012, and has served as its Vice President since 2014. She also serves as a member of the DCEDC Business Retention Committee. Jennifer previously served as DeKalb’s City Clerk, having been appointed to the position in July of 2015, and serving through the end of the term in 2017. Jennifer received her BA from Marquette University in 2004, and her Juris Doctor from Northern Illinois University’s College of Law in 2012. She is also an alumna of the NIU College of Law Agen, France Program; a study abroad program that focuses on European Union Law and the French Legal System. Jennifer and her husband Eric reside in the city of DeKalb with their son Benjamin, and daughters Estelle and Vivian.